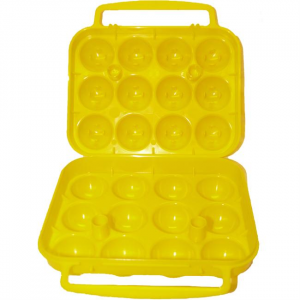 Coghlan's 12 Egg Container safely transports 12 eggs to the camp site or around town. Secure closing and locking tabs make sure accidents don't happen. 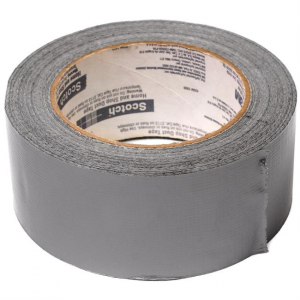 Coghlan's 3m Duct Tape is an essential tool for any human being on the planet. Repair your tent, fix your dress, this tape does it all. 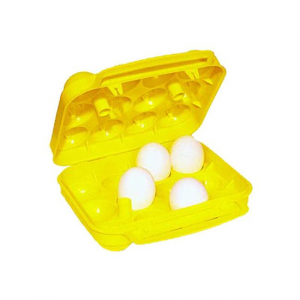 The 6 Egg Container is made of rigid plastic with internal support and snap closure. Bring eggs on your next backcountry adventure. Carry a dozen eggs with the Coghlan's 12-Egg holder and whip up a breakfast feast the next time you're car camping or backpacking. 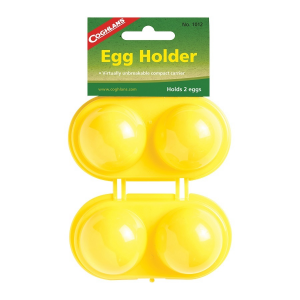 Designed for short trips into the outdoors, the egg holder is a compact and durable storage solution for two eggs. Carrier is made from virtually unbreakable plastic that wont crush. 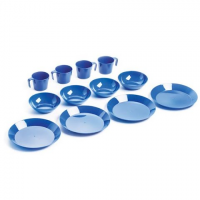 Easy to stack and carry easy to clean up and recyclable Coghlan`s 4 Person Camper`s Tableware Set is the perfect solution for convenient outdoor service. These 10" length cords are handy to bundle ski poles or fishing rods and ideal for dozens of other lightweight uses. Carry along some eggs with the Coghlan's 6-Egg holder and whip up a breakfast feast the next time you're car camping or backpacking. These sturdy 20" long stretch cords with plastic-coated hooks on each end have dozens of uses--saves tying and untying and won't loosen in travel. Coghlan's ABS Tent Peg - 6"
Coghlan's 6 in. 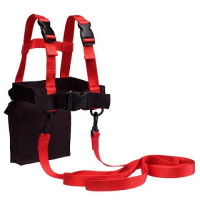 ABS tent pegs feature a rugged design and durable ABS polypropylene material. They are nearly indestructible! Coghlan's ABS Tent Peg - 9"
Coghlan 9 in. ABS tent pegs feature a rugged design and durable ABS polypropylene material. They are nearly indestructible! The Coghlan's ABS Tent Pegs 12" plastic tent pegs come in a 6-pack. These bright and easily seen tent stakes include a rugged design and no slip hook.Specs: 12"